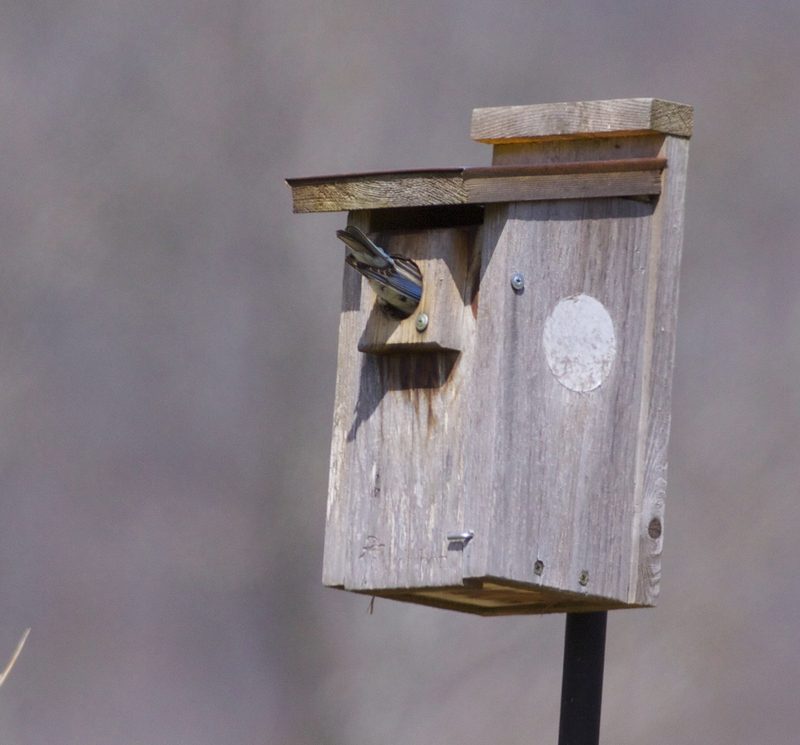 Everything is late this spring; flowering trees, wildflowers, general green up, etc. 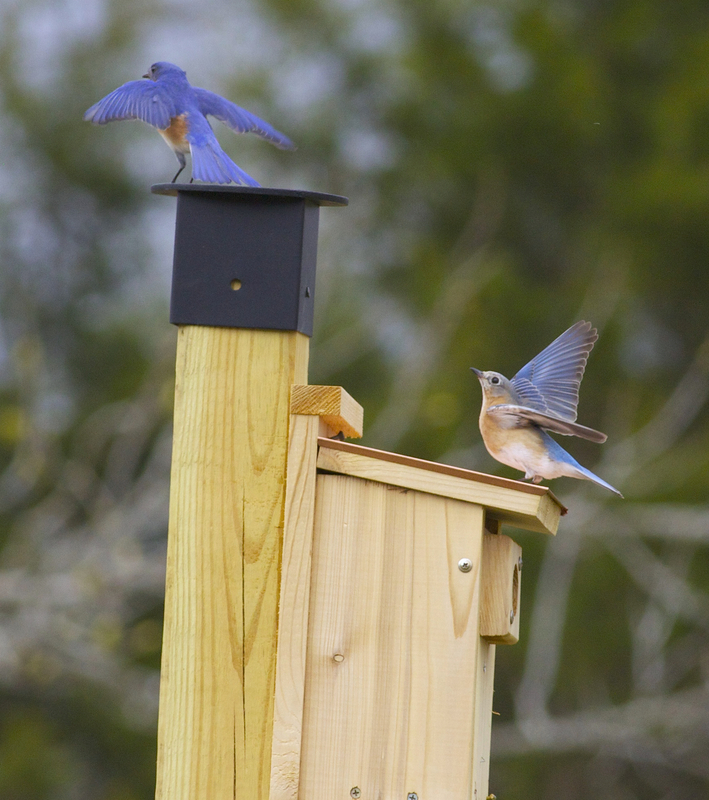 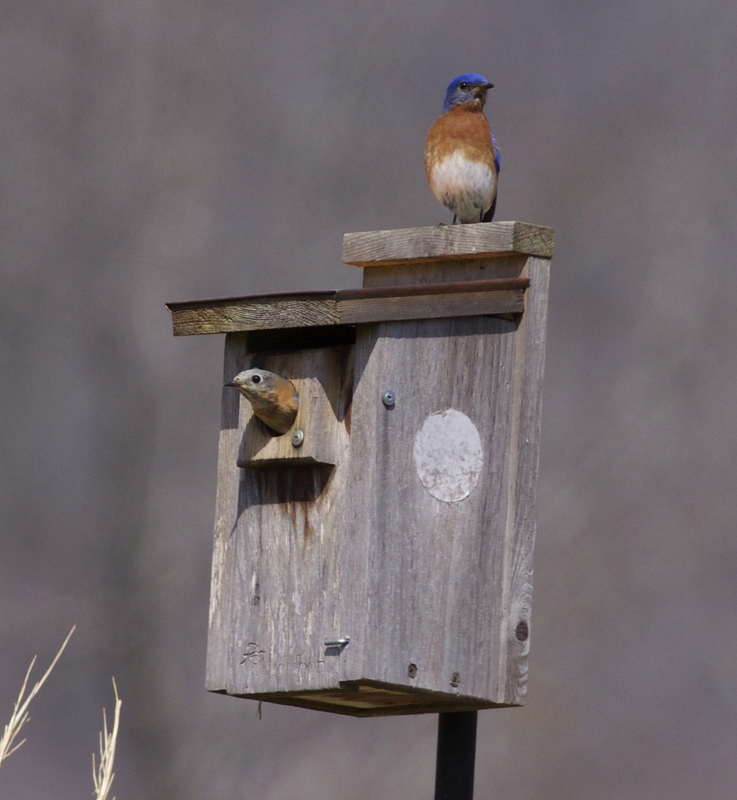 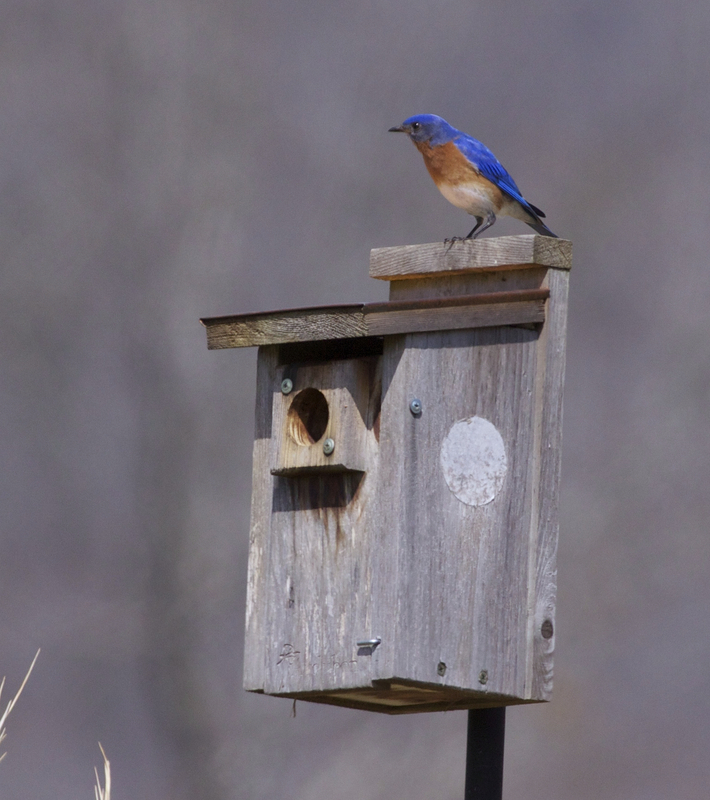 The Eastern Bluebirds got a late start paring up and attracting each other and they are just now working diligently on nest construction. 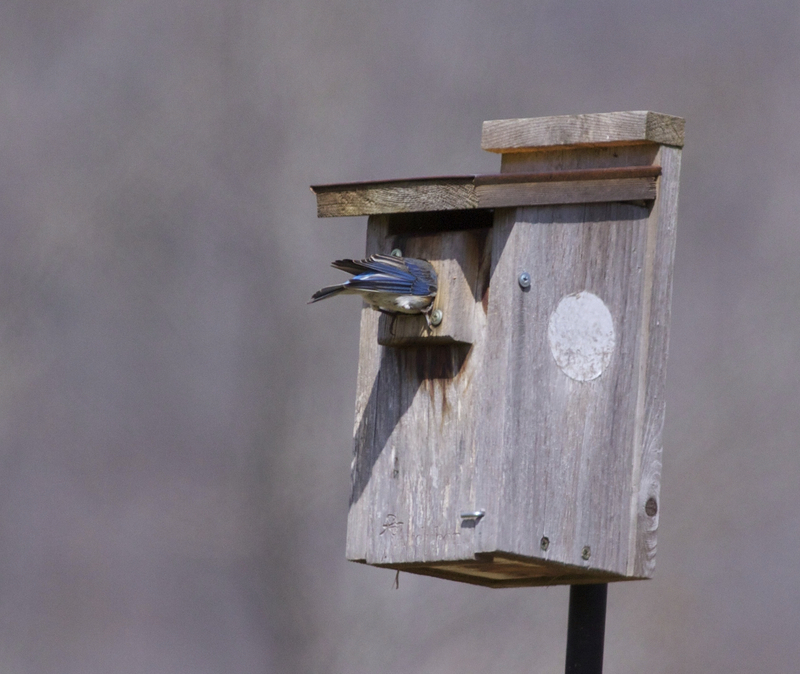 They usually work on this early in the day but it has been in the low 20s each morning. 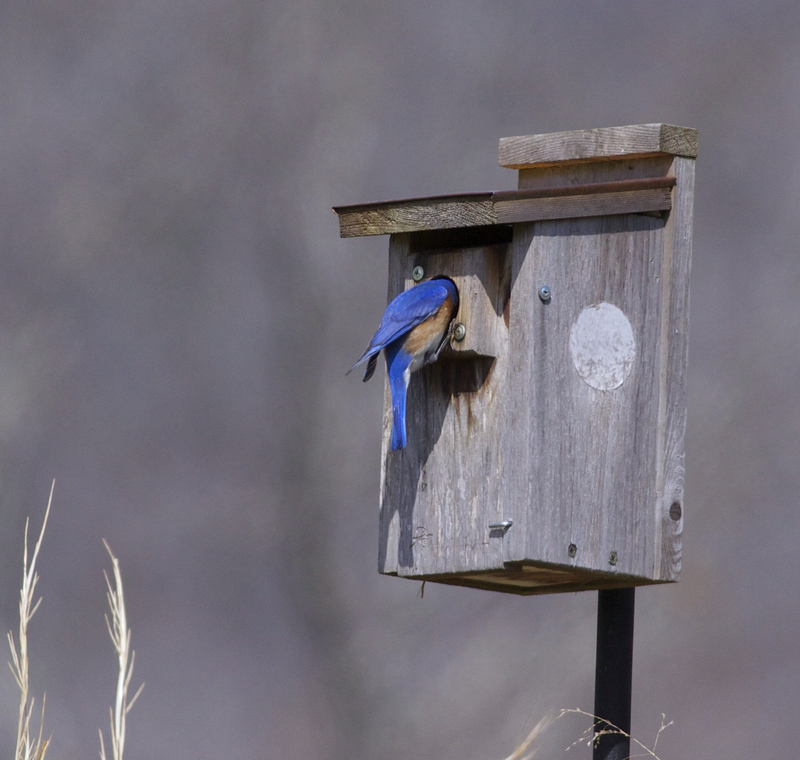 It was 45F by 9:30 this morning and they began working. 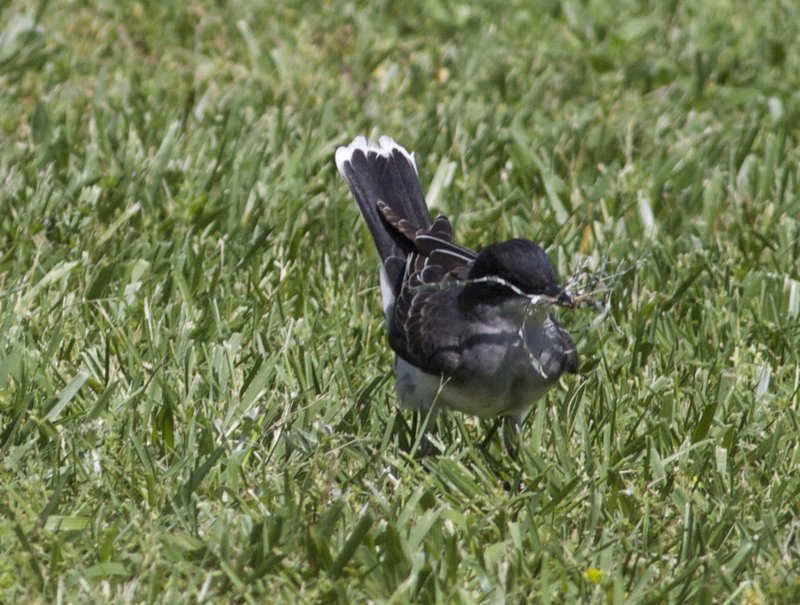 They worked non-stopped for an hour. 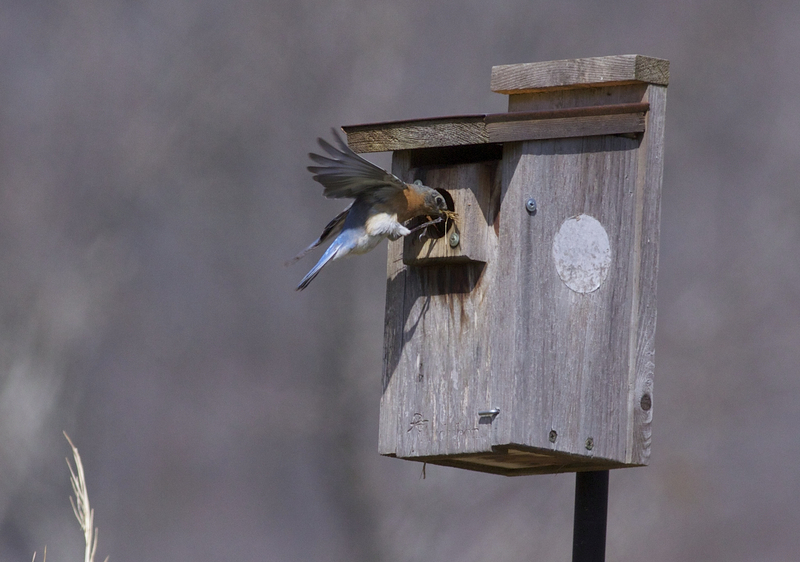 The female leaving the box to gather grass and pine needles. 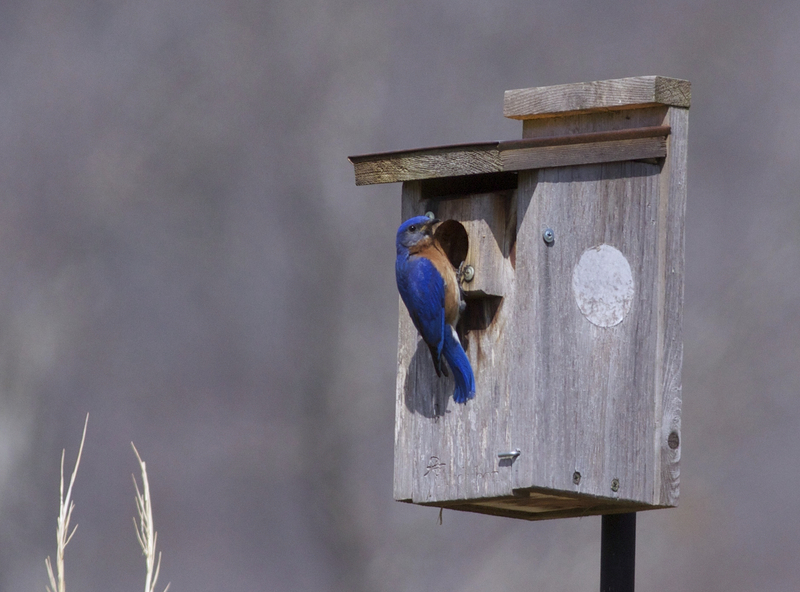 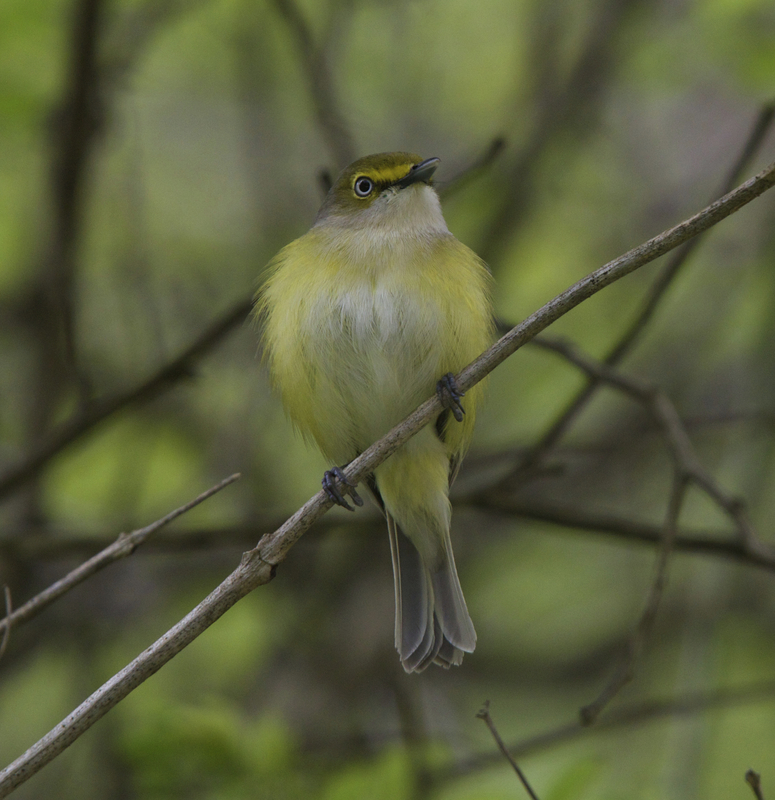 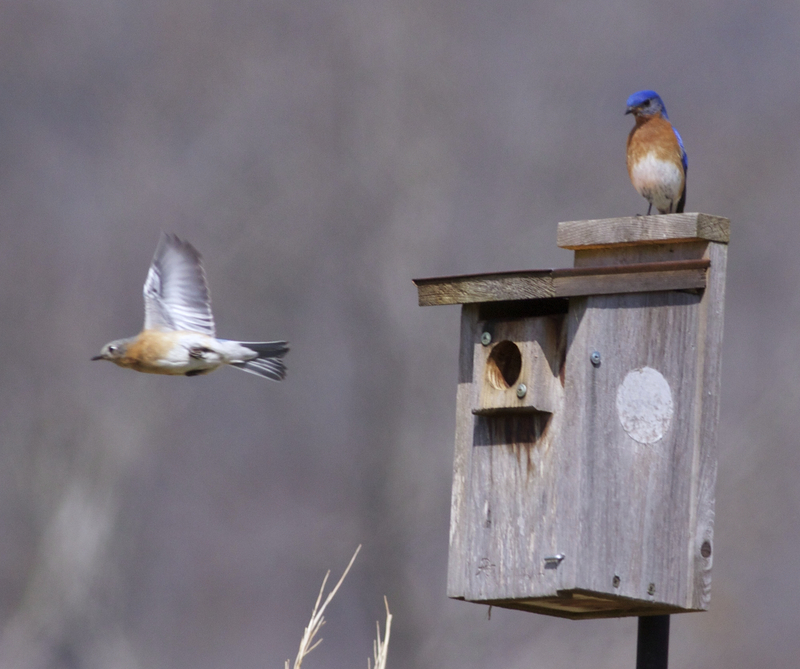 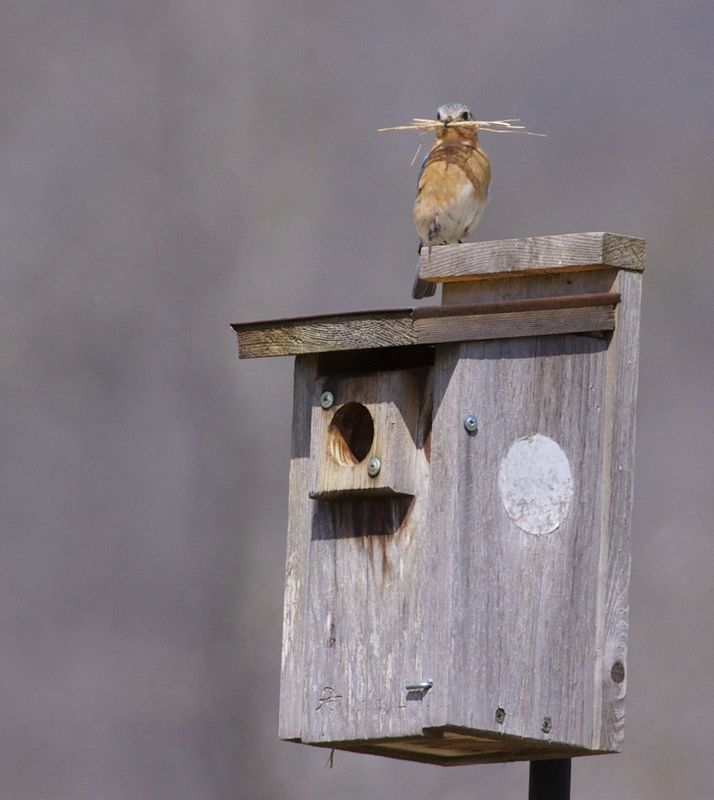 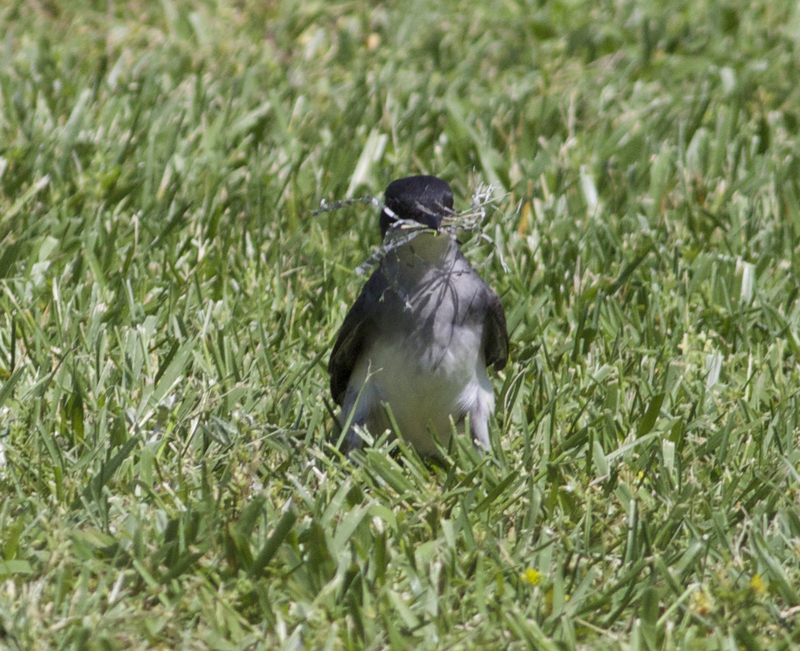 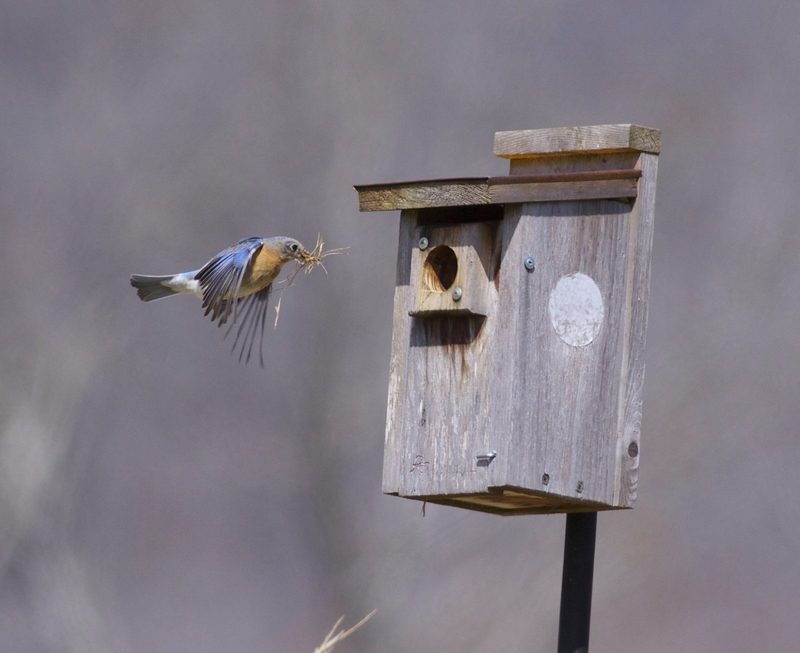 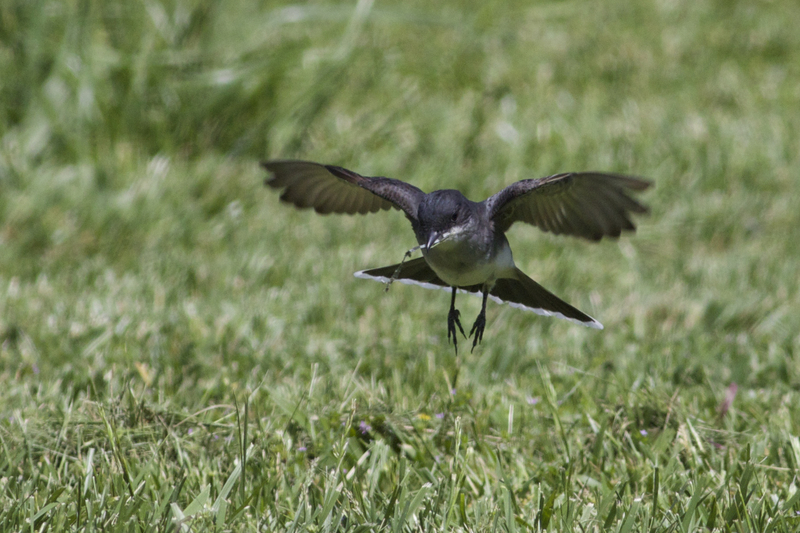 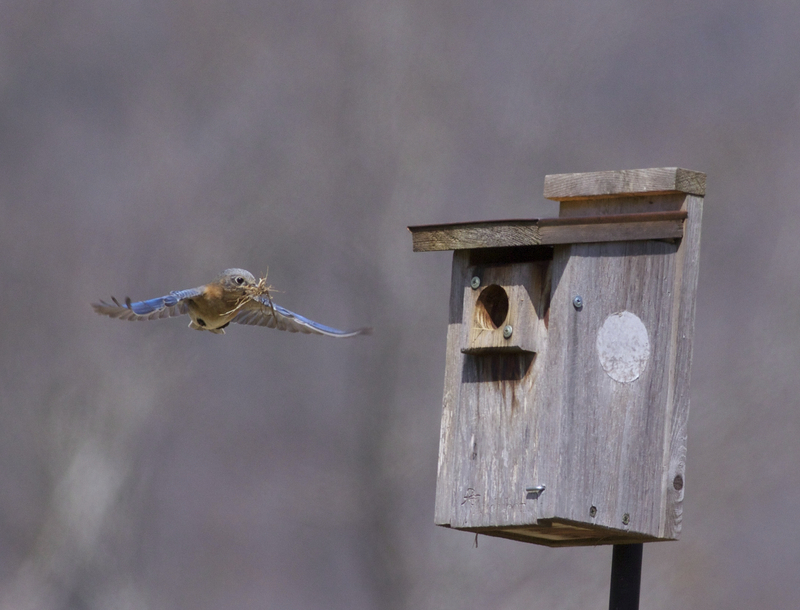 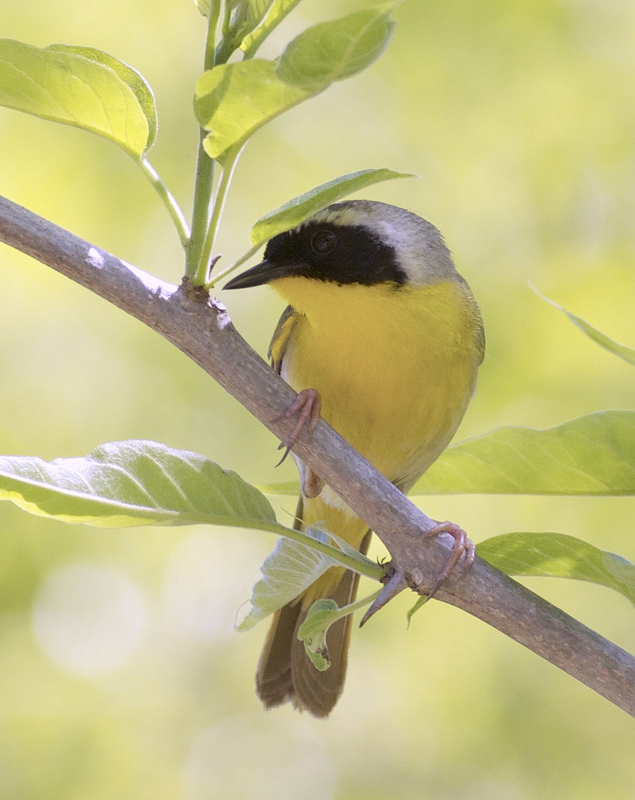 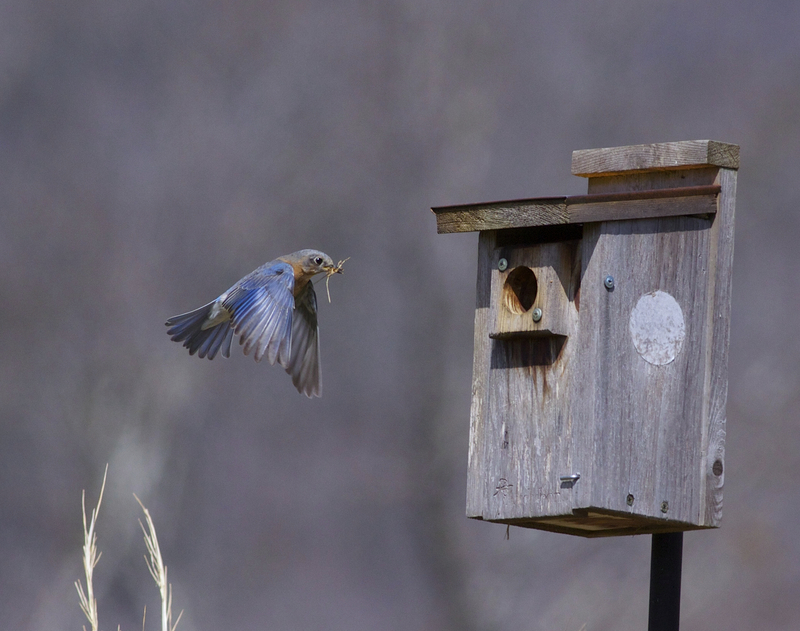 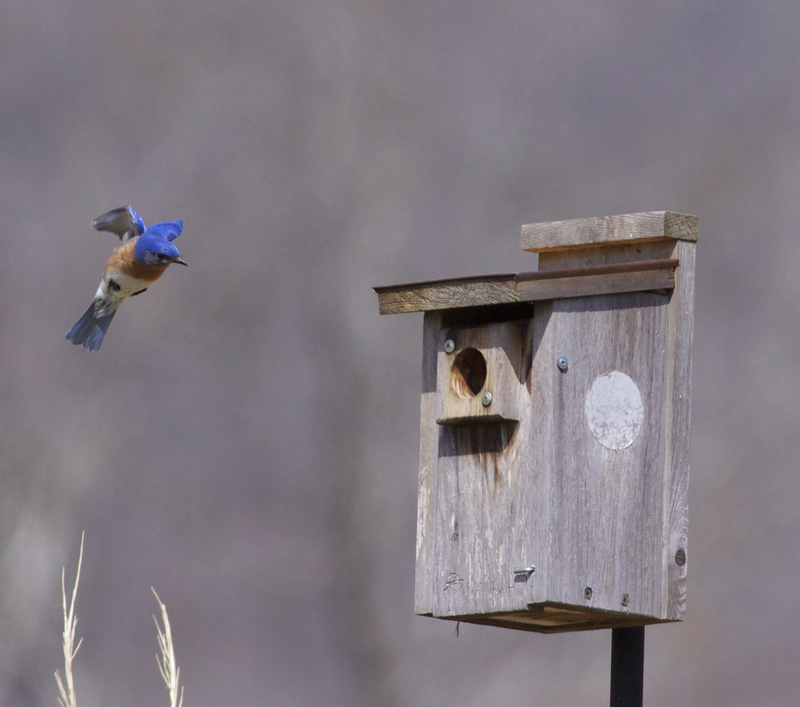 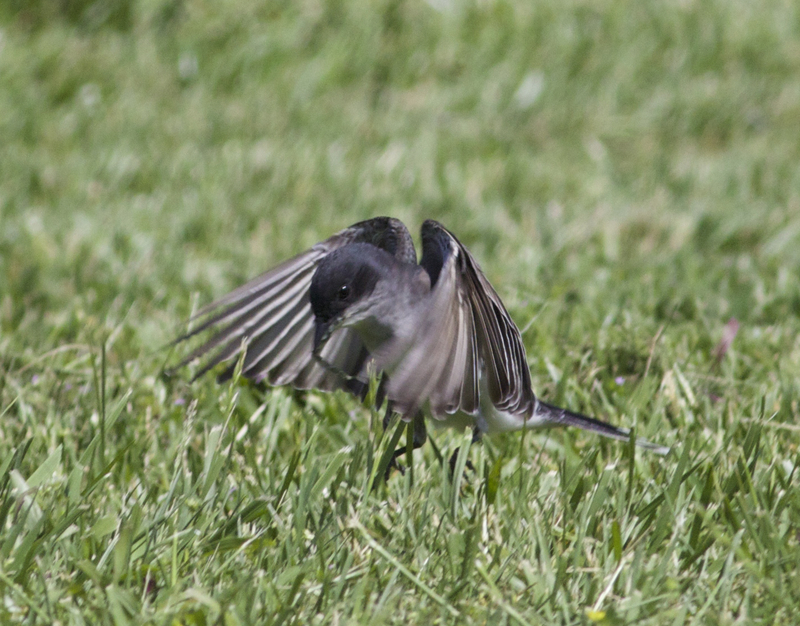 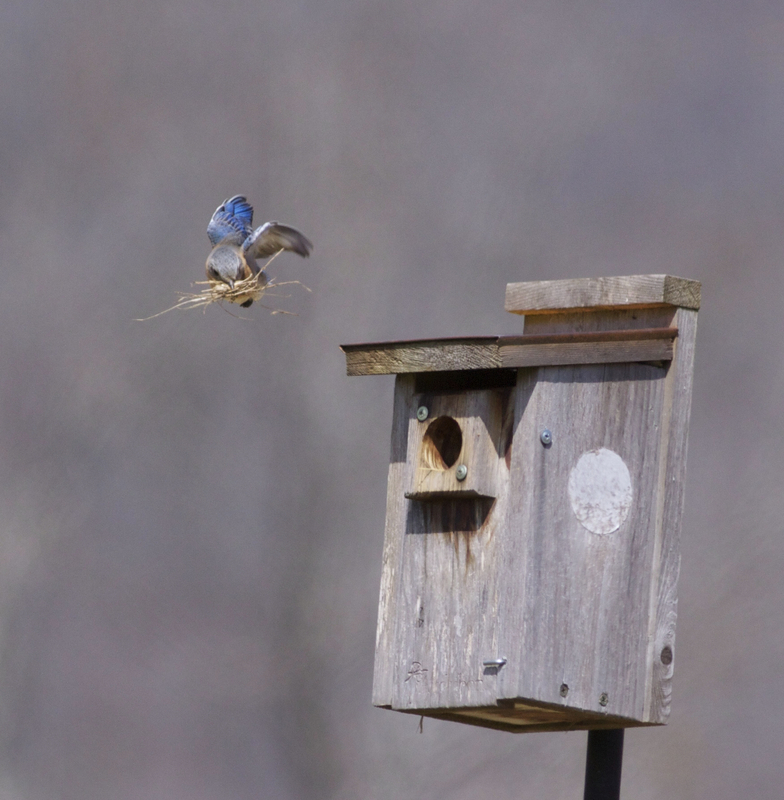 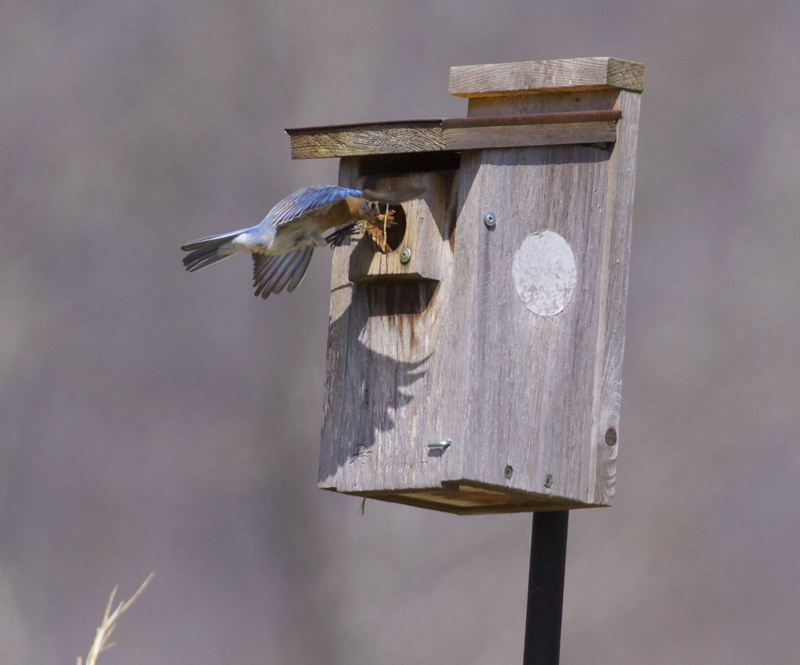 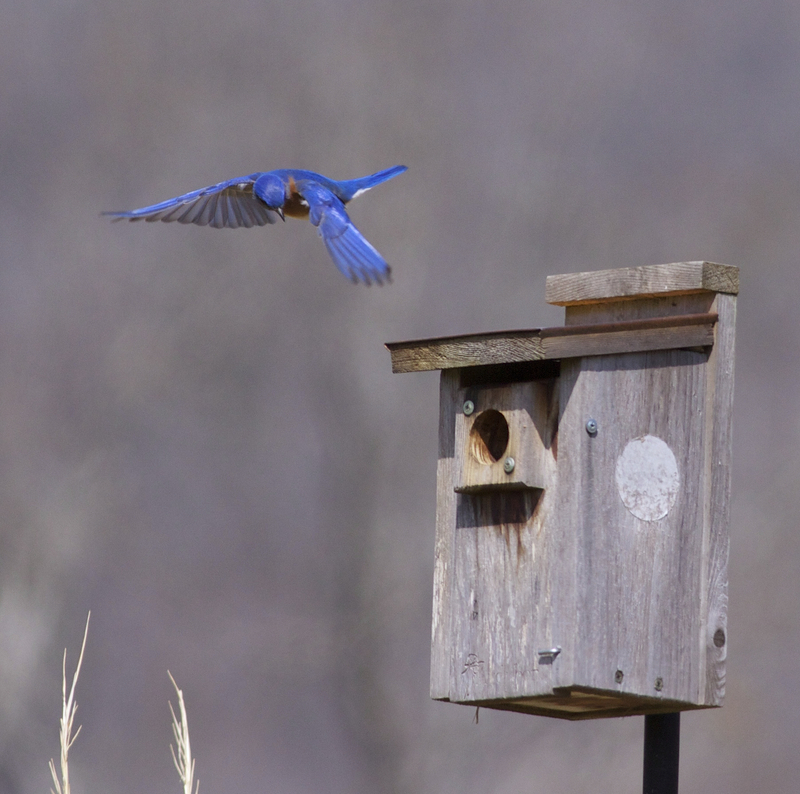 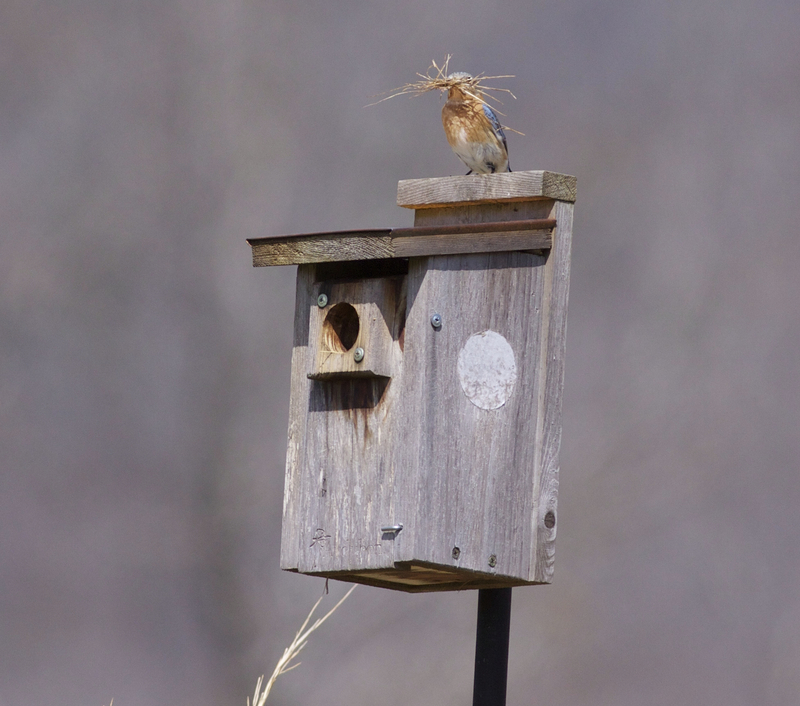 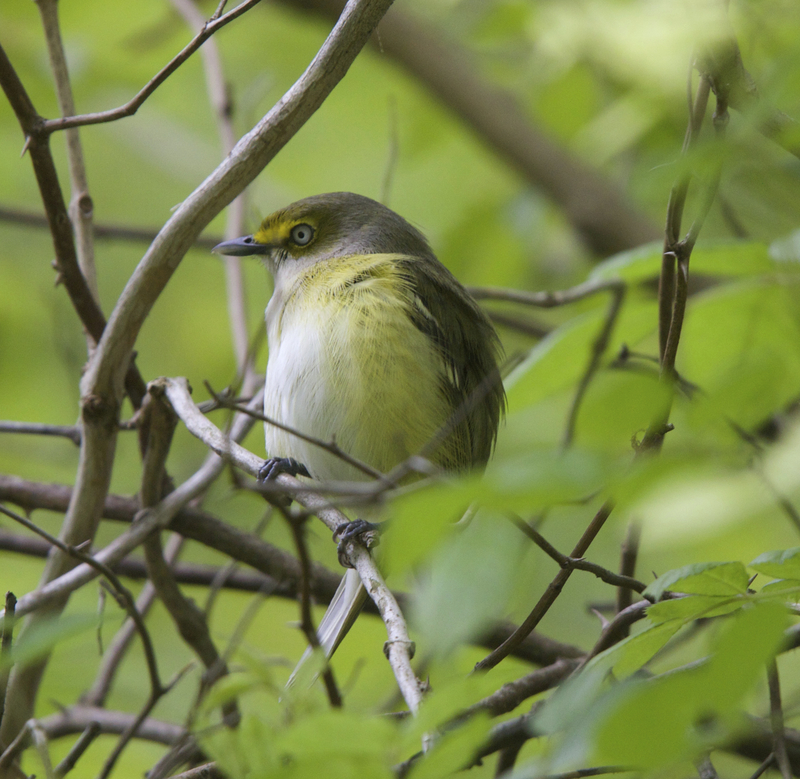 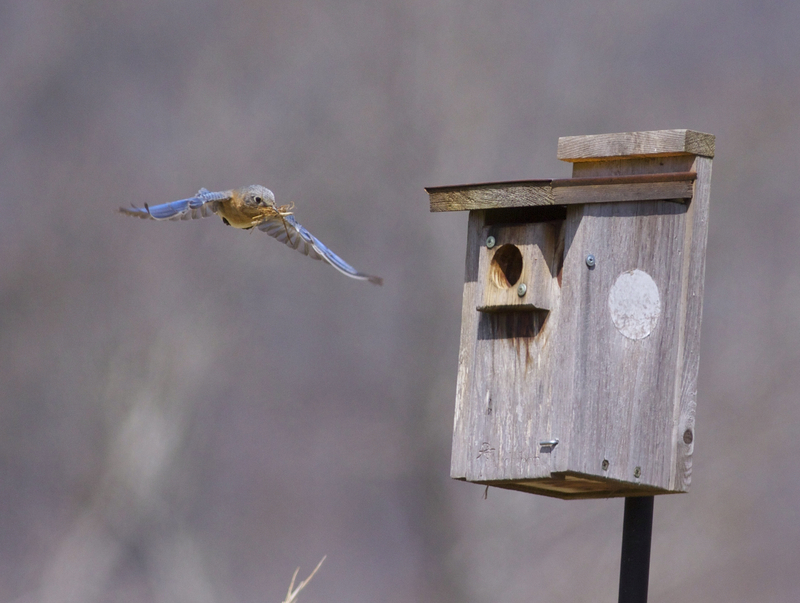 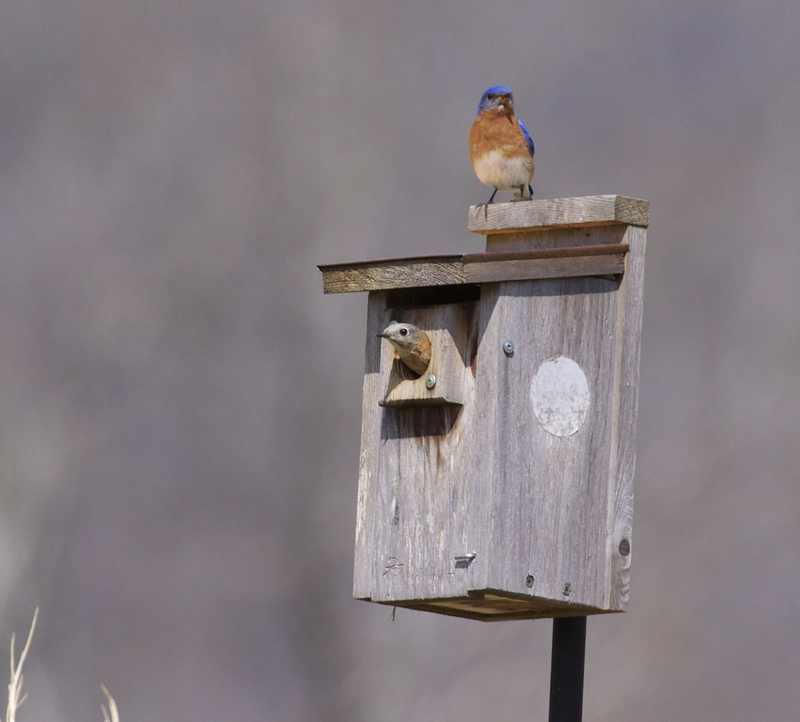 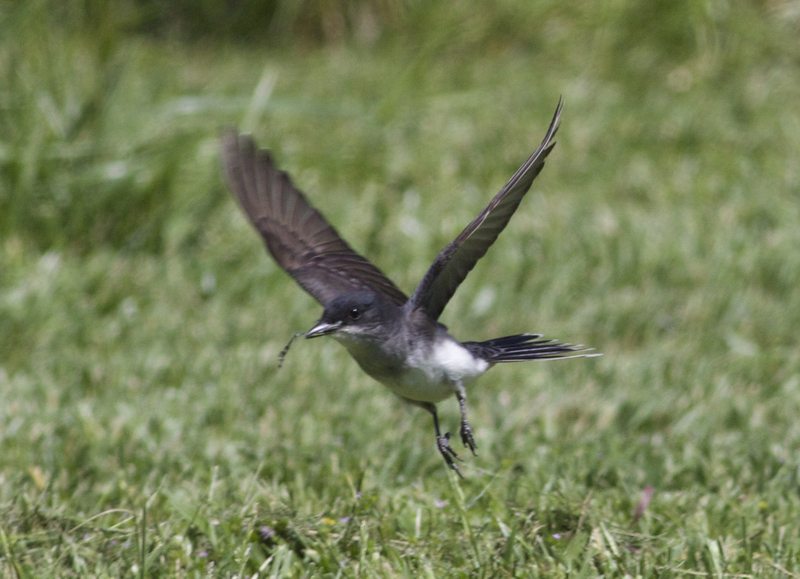 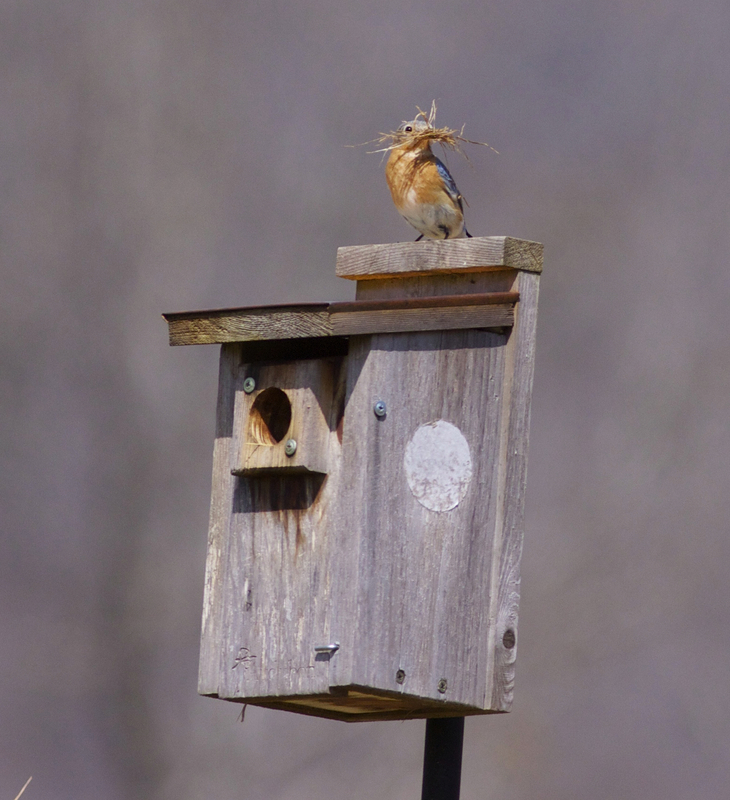 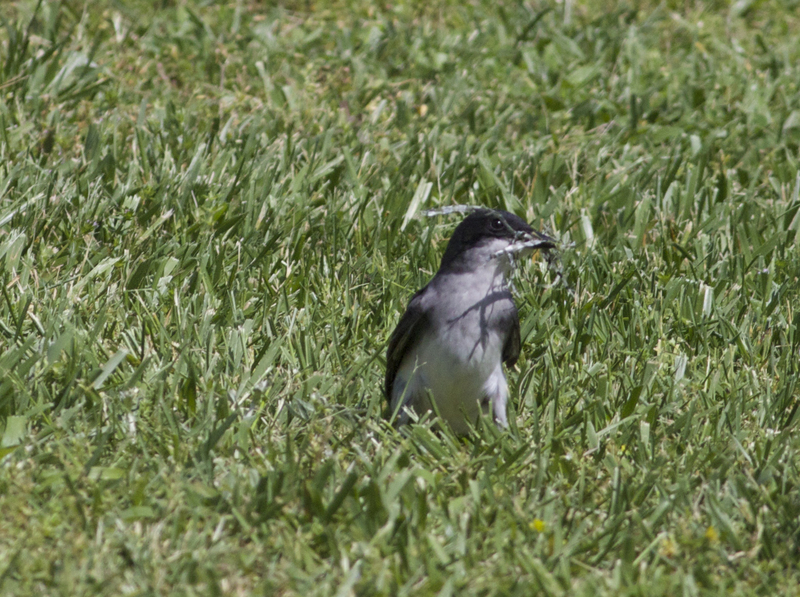 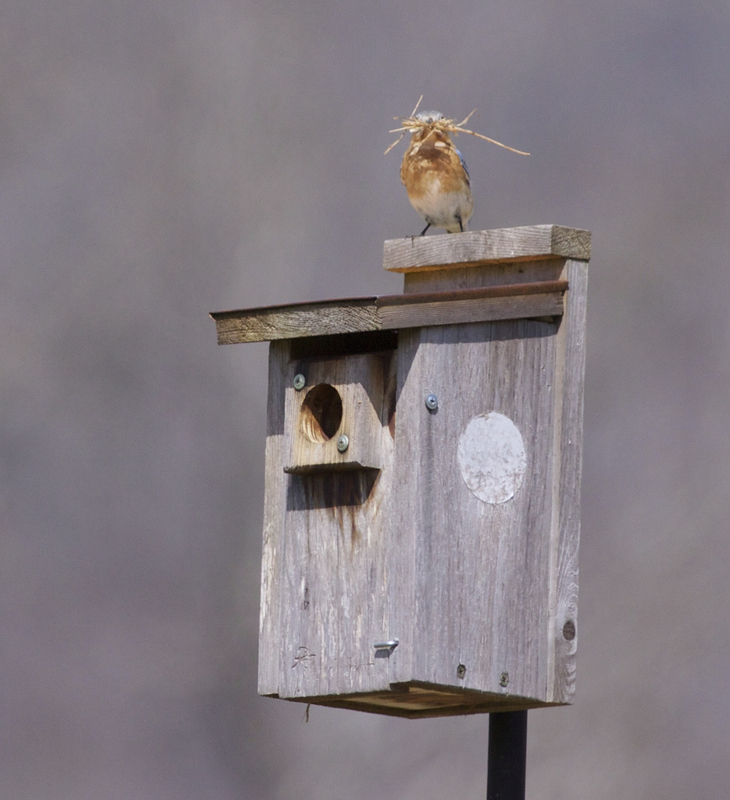 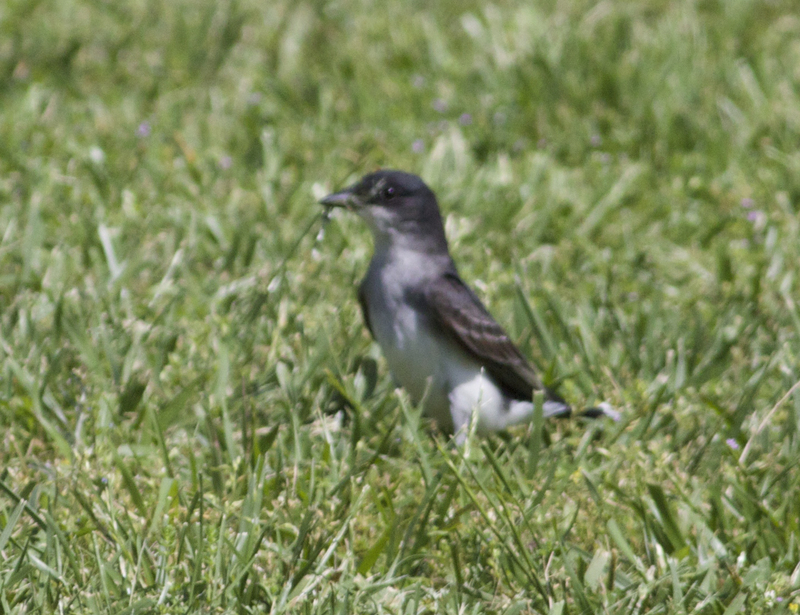 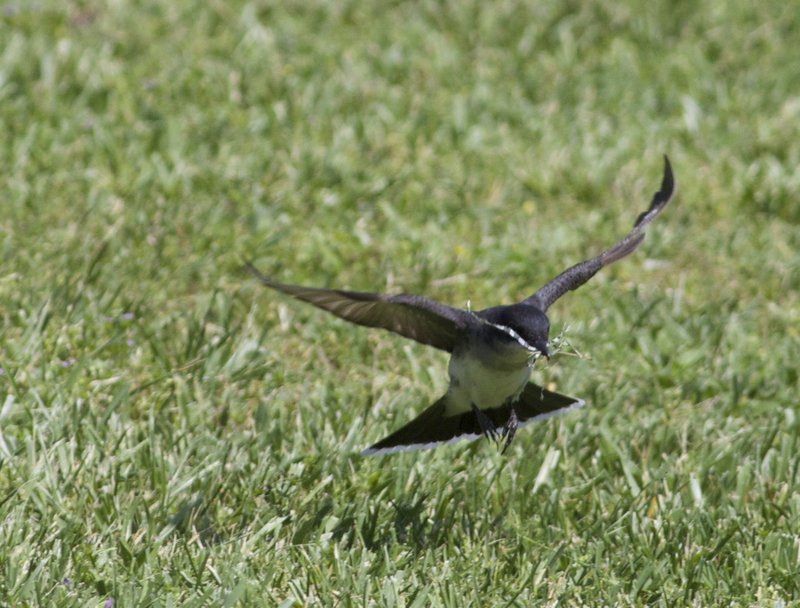 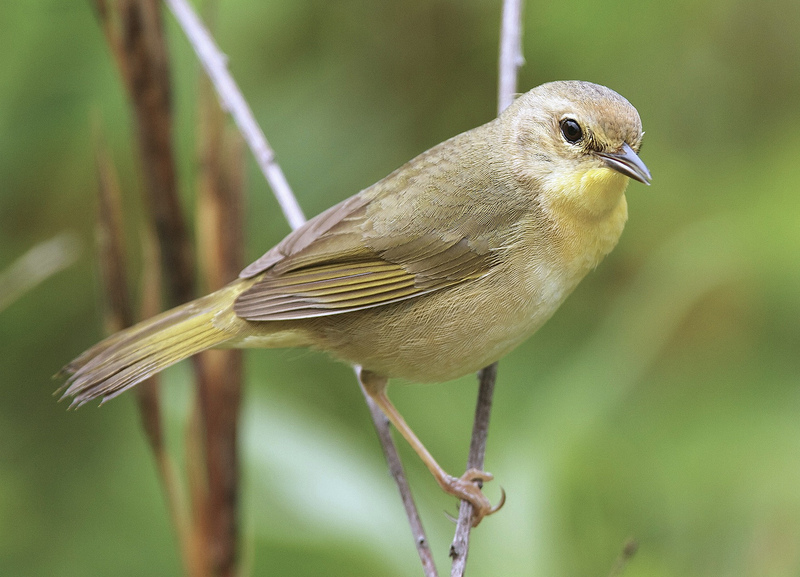 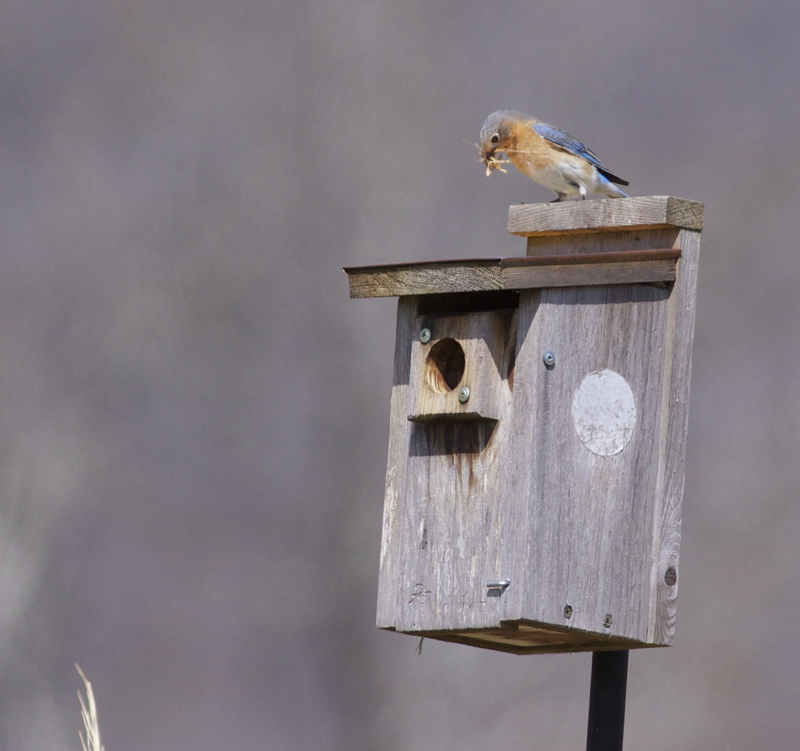 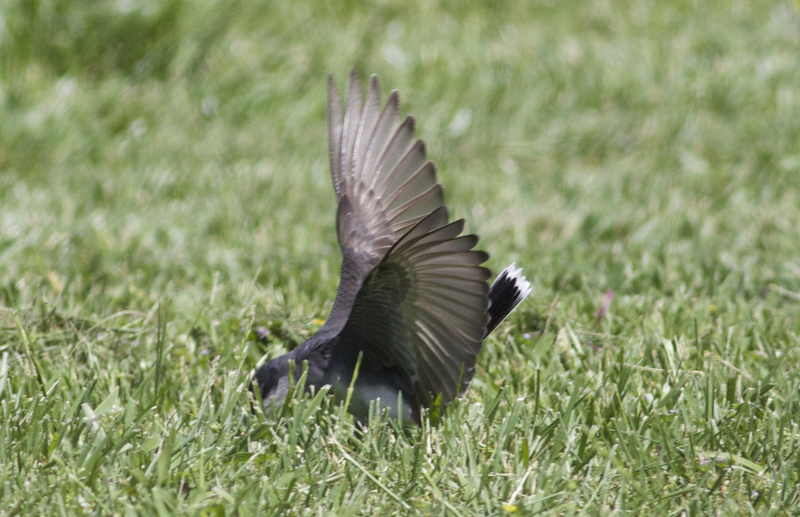 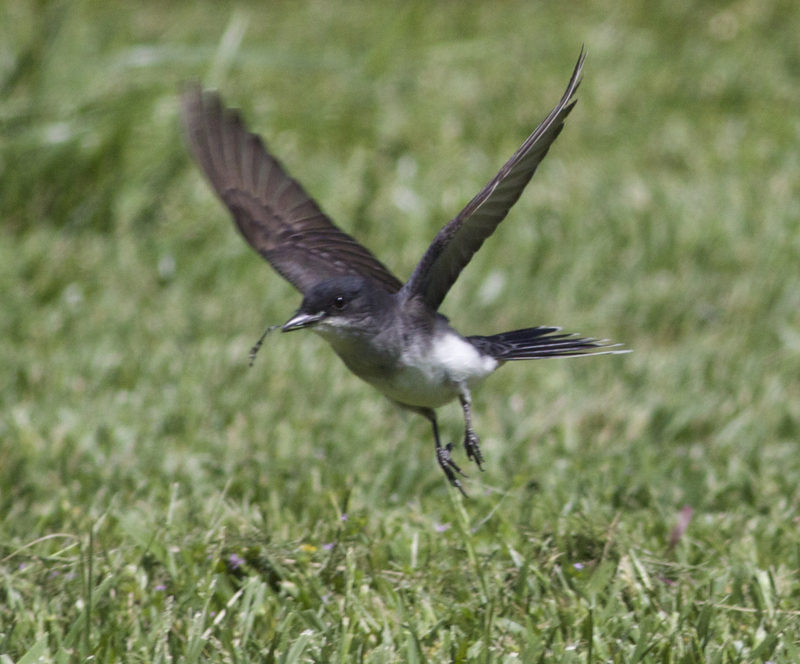 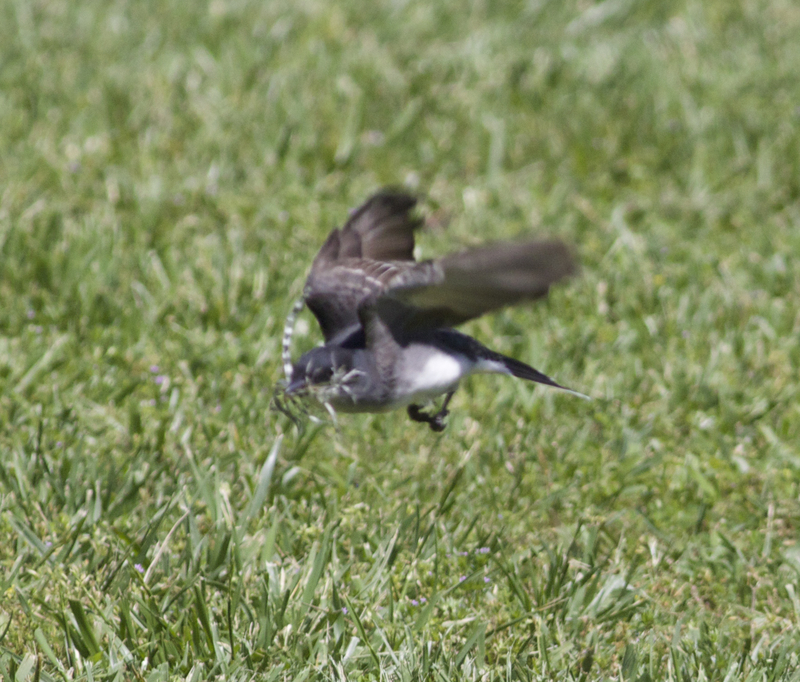 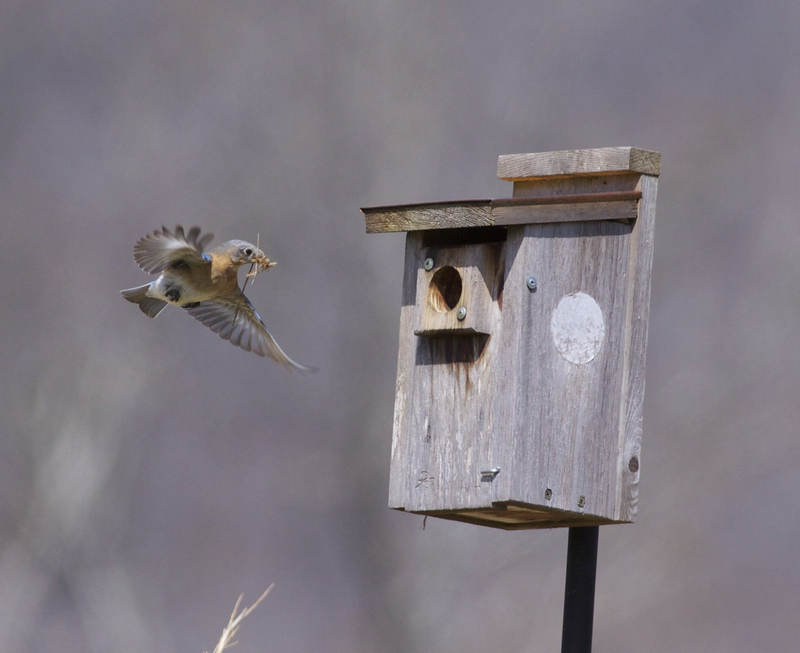 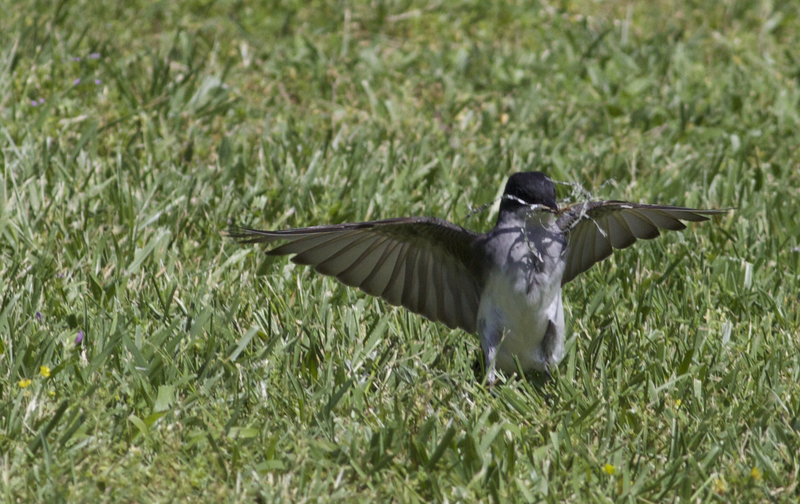 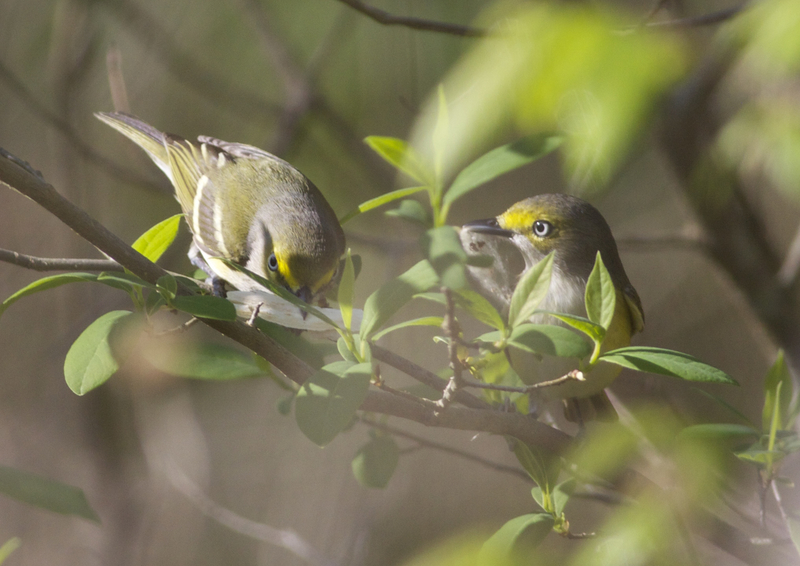 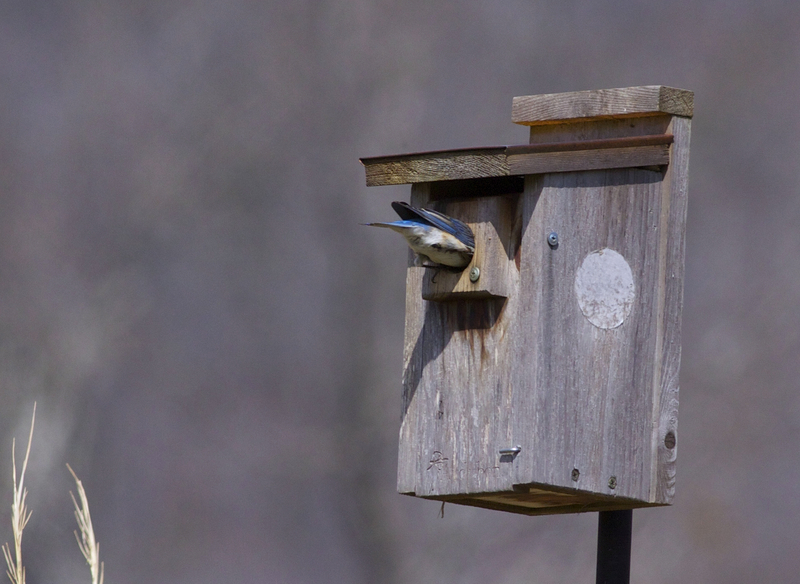 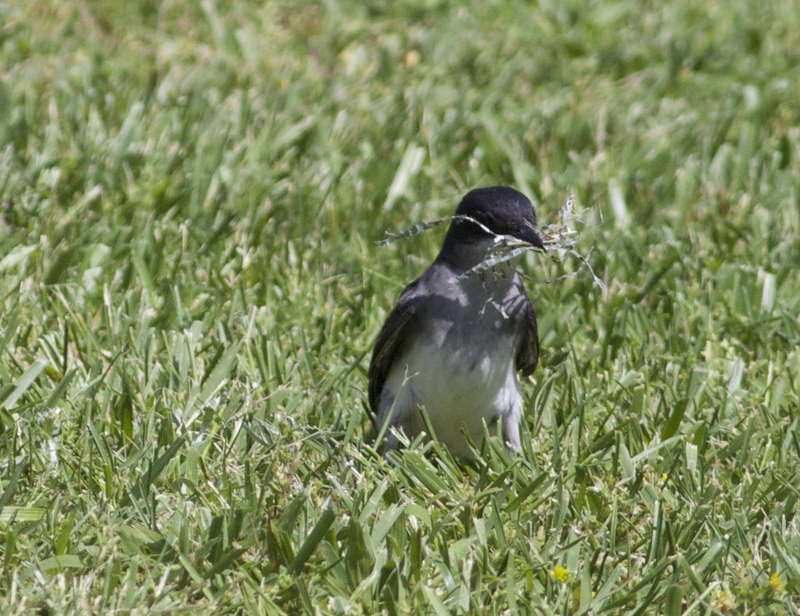 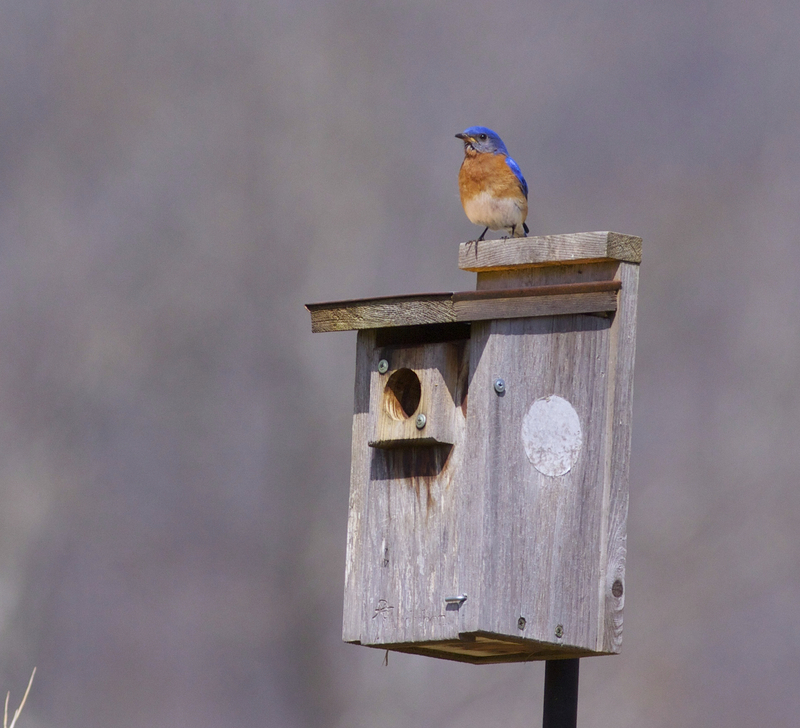 The male accompanies her in flight but does no nest building himself; after she places the grass in the box, he flies down to check out the progress. 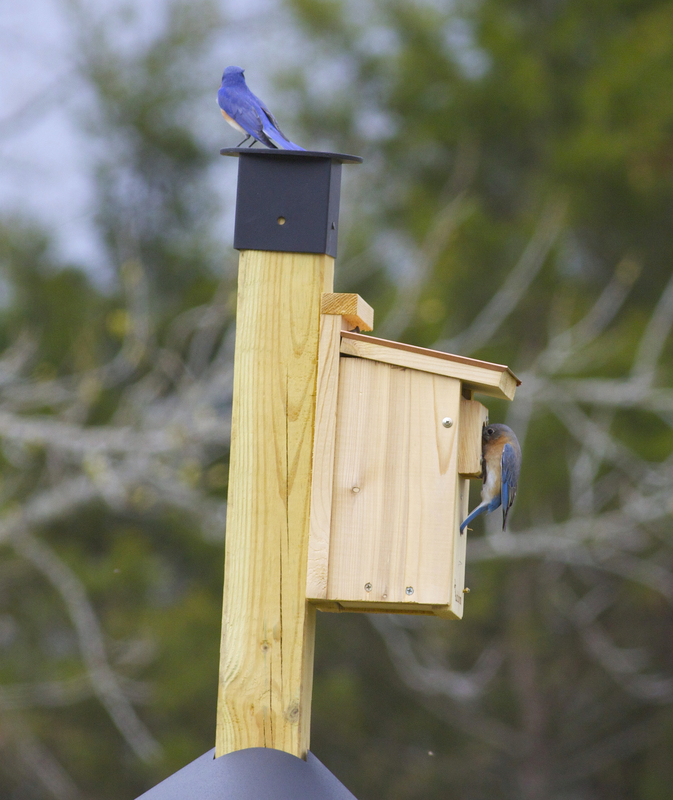 He often stands on the nest box while she is inside.